I thought it would be valuable to lay down a development roadmap. 2.0 – Automatic loading of privacy settings by domain. 2.x – Cleanup of small bugs and polishing. 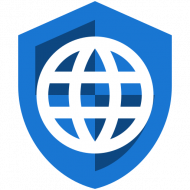 2.x – SSL certificate pinning. 2.x – Addition of READ_EXTERNAL_STORAGE and WRITE_EXTERNAL_STORAGE permissions. Encrypted import, export, and sync of settings. 4.0 – Create a custom WebView called Privacy WebView. Most Android browsers’ implementation of tabs are more like quick bookmarks with large thumbnails than real tabbed browsing. My plan is to use a TabView (similar to the Guide and About sections). There are several complexities with doing so, including managing separate privacy settings for each tab, that make this more difficult that might initially appear. That is why the implementation is pushed all the way to version 3.0. But the final result should be a fully usable tabbed interface that scales well from small phones all the way to laptops and desktops. I love what your doing here with privacy browser . But there are a few concerns I want to address like the ability to hide WEBRTC. Internal ip address is still known and could possibly pin point the location of a user even if they were using tor.